Divorce is often quite contentious, but it really doesn’t need to be. Nothing good can come from a highly-charged, emotional courtroom battle over spousal support or property division. In the end, what is important is that you and your children have been treated fairly in the dissolution process and that the terms of the dissolution meet your needs for the future. If it’s necessary, an experienced Orange County divorce attorney with the Bayati Law Group will fight aggressively in a divorce trial on behalf of a client’s interests. In most divorces, however, what is really in everyone’s best interests is a willingness to cooperate, to reach reasonable compromises, and to avoid unnecessary animosity and acrimony. If you are divorcing in California or expecting to dissolution, you have options to avoid a dispute. Several legal alternatives to the traditional divorce proceeding are now available to couples who are dissolving a marriage in the state of California. Collaborative divorce, for example, is a relatively new and innovative approach to the divorce process. Like mediated divorce, cooperative divorce can keep a divorcing couple out of the courtroom while still allowing them to retain experienced legal counsel and representation. 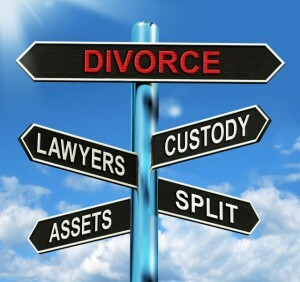 In southern California, if you are involved in or if you’re anticipating a dissolution – and if you believe that any of the potential disputes in your divorce can be settled out of court – you can learn more about the collaborative divorce option and other alternatives by consulting with an experienced Orange County divorce attorney at the Bayati Law Group. While it isn’t for every California couple dissolving a marriage, cooperative divorce might be right for you. Unlike other types of divorce, collaborative divorce allows spouses to work together outside of the courtroom to try to reach a resolution. During a cooperative divorce in California, the divorcing spouses are directly involved in the decision-making process at every stage. Instead of litigating the divorce and putting their fates in the hands of a judge, the spouses choose to collaboratively make the decisions that will constitute the terms of their divorce. Both parties must agree in advance to approach the cooperative divorce process in good faith and with a willingness to make reasonable compromises that will help them come to an agreement. To ensure the integrity of the cooperative divorce process, the attorneys for each individual must also agree in advance that they will not take the dissolution to trial and that they will instead do their utmost to settle all dissolution-related disputes during the collaboration process. If a cooperative divorce process fails, which is extremely rare, the same attorneys must understand they cannot be involved in any litigation if the dissolution becomes a trial. Collaborative divorce is a procedure that requires mutual respect and encourages cooperative problem-solving. Your own divorce lawyer will still advocate diligently for your best long-term interests, but the aim of a cooperative divorce is to reach mutually satisfactory agreements regarding your dissolution and to reach those agreements without going to court. Whereas a traditional dissolution trial may focus almost extensively on the past, cooperative divorce is instead almost entirely future-oriented. Yes, divorce dissolves a marriage, but it’s also the beginning of a new chapter of your life. Collaborative divorce helps the divorcing spouses – and the children, if children are involved – to move forward with their lives in positive and meaningful ways and without acrimony, contention, or recrimination. A collaborative divorce opens the line of communication between the spouses so they can enter the next chapter of their lives peacefully. Along with the attorneys for each client, cooperative divorce additionally includes a team of professionals – called “coaches” – to assist the divorcing partners depending on their needs. Coaches from the mental health profession address emotional issues; if children are involved, another “coach” will represent their concerns and needs. A neutral financial coach may be brought in to help resolve any financial disputes. The key to a cooperative divorce is that this is an alternative to traditional divorce, so both divorcing spouses and each member of their legal teams agree to resolve the outstanding issues in the dissolution without going to court. Instead of two teams pitted in virtual combat against one another, cooperative divorce creates one dedicated team that diligently and thoughtfully works together for the benefit of everyone involved. All of the professionals involved have experience working with spouses who are going through collaborative divorces so they can provide the necessary resources to assist their clients every step of the way. Each professional has received special training in the cooperative divorce process and are committed to achieving solutions that will be acceptable to both sides. While collaborative divorce can save both spouses time and money, what’s even more important – especially when there are children involved – is that the collaborative divorce process is designed to establish continuing respect and cooperation between the divorcing spouses. The agreements generated by the cooperative divorce process are typically agreements that will endure. If you are divorcing in southern California, and if your spouse is agreeable, consider cooperative divorce. However, if you are considering dissolution right now, or if your spouse is the one who is divorcing you, do not make any final decision regarding this issue before you first discuss your legal rights, your options, and your alternatives with an experienced Orange County divorce attorney at the Bayati Law Group. Our attorneys may recommend a collaborative divorce, mediation, or another alternative. If you and your spouse can agree in principle to pursue cooperative divorce, the next step is to speak with an experienced Orange County divorce attorney at the Bayati Law Group. If you move ahead with the process, the Bayati Law Group can help you put together your team of experts and guide you through a collaborative divorce. If divorce is your only realistic option, a cooperative divorce might be the right choice for you and your spouse. Whether you need immediate legal advice and representation from an experienced Orange County divorce lawyer, or if you simply need legal advice and guidance for the future, an experienced attorney with the Bayati Law Group is available discuss the full range of your dissolution options including arbitration, mediation, and collaborative divorce. The Bayati Law Group represents southern California clients in divorce proceedings and in all other matters of family law. Our lawyers value the attorney-client relationship. Every Bayati Law Group client and prospective client is treated with complete respect and is extended every professional courtesy by everyone in our office. It is our policy to return every client phone call and email promptly to ensure you receive the services you need. Please schedule a consultation appointment right now to speak with an experienced Orange County dissolution attorney regarding collaborative divorce or any other matter of family law by calling (949) 798-5700. Or, you can complete the form on the contact page of this website, where you will also find a map with directions to our law offices. The Bayati Law Group serves clients in Orange County and throughout southern California.